Create a traditional or rustic look by adding shiplap or a decorative metal, or wood panel on the recessed face. Call or submit a quote for custom sizes and wood species. Our new barn door panels are the epitome of Modern Farmhouse design. 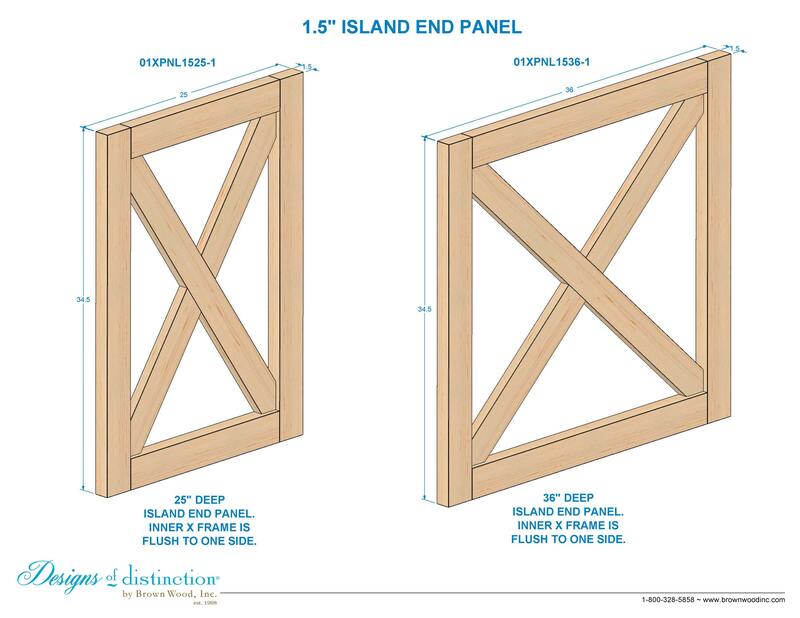 With cross pieces that resemble heavy timber frames and a strong hidden construction, they can be used to cap the end of an island, create a table extension or used with a panel to create a wall or cabinet door. We’ve recessed one side and left the other flush, allowing you to use both sides in your designs. Lapjoint construction provides superior strength allowing you to use the x-panel as a structural component.